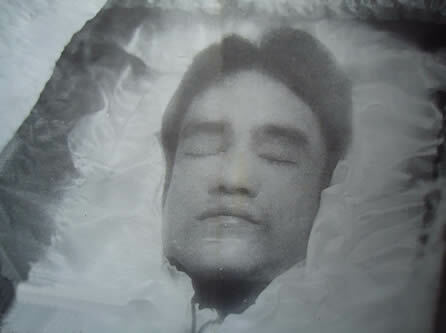 I never had the chance to meet Bruce Lee but I do have a couple of original photos of him (below). The first (left) is 1972 (August) during a visit to SB Studios. 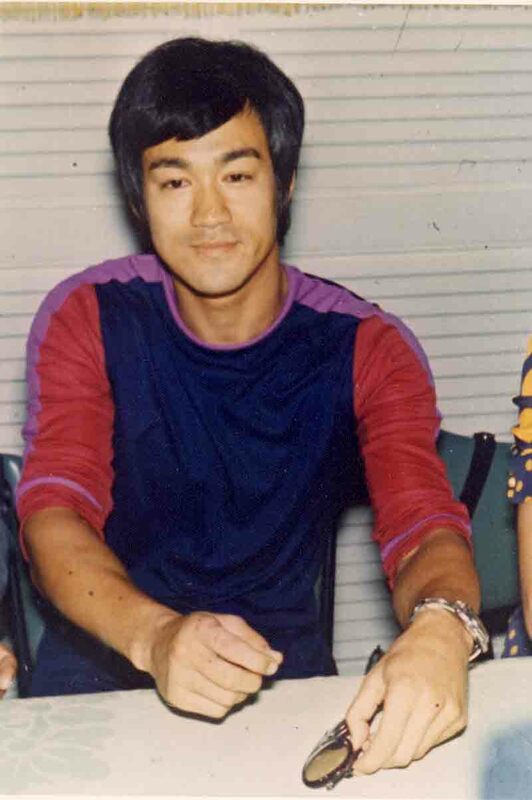 The second is 1972 at Kai Tak-Airport when Bruce Lee came back from Thailand after making the movie Big Boss. 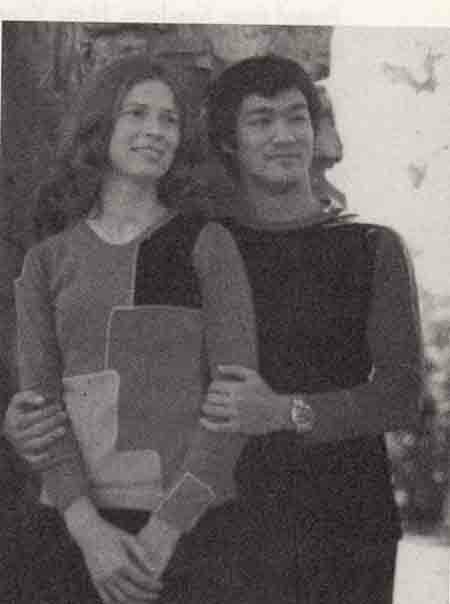 The third photo isn't mine but is one of Linda and Bruce Lee taken in early February 1965. How good was Bruce Lee? It was Bruce Lee's speed which set him apart from other martial artists. His favourite trick was to make a bet with a friend that he could safely close their eyelids with his fingertips before they could stop him. Even as the person tried to raise their hands to defend themself, Bruce Lee's arm would dart out at incredible speed and gently push down the eyelids. He never missed. Another indication of how good he was is by running through the list of martial champions who co-started with him on his films: Chuck Norris, seven times Karate champion; Bob Wall 1970 Professional Karate champion, Peter Archer, Commonwealth Karate champion; Yang Sze, Shotokan champion of south Asia to name a few! 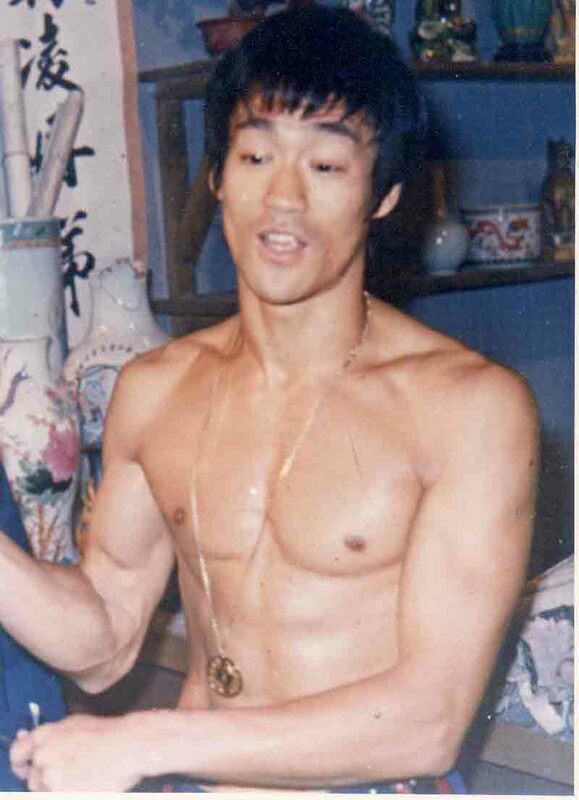 Although Bruce Lee was no giant (5'7.5"), he had developed a super charged body. His kicks would literally pick up his opponent with his foot and canon him up to 30 feet or more through the air. Watch his kick in Way of the Dragon against a chinese waiter. Another of his stunts was to stretch out his right arm almost to the limit and tell a man of say 13 stone (85kg) that, by extending his arm an inch he could generate enough power to punch him across the room. With the smallest of movements he could send a man twice his weight flying through the air. You can see videos of this on Face book! Bruce Lee was also revolutionary in his training techniques. 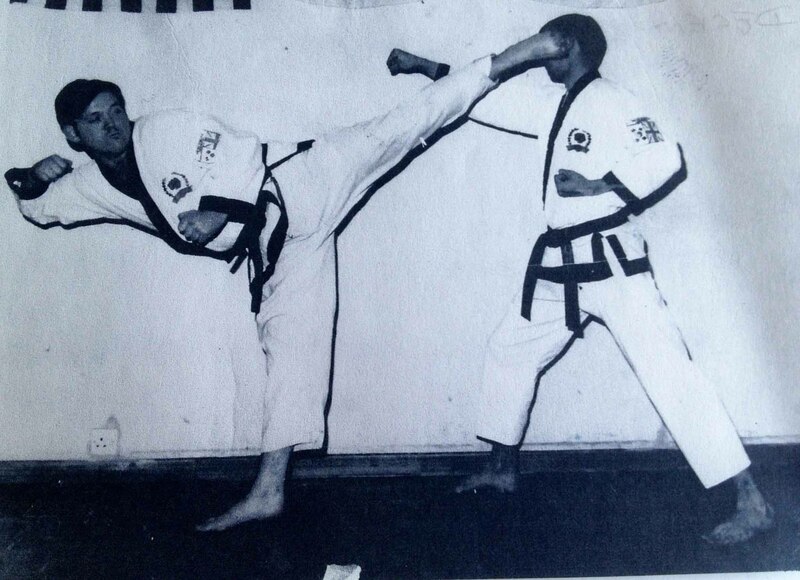 He would train and shadow box to music which was something way ahead of his time. 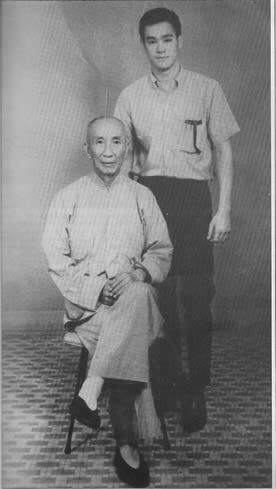 Bruce Lee with Wing Chun Kung-Fu master Yip Man. Bruce Lee’s style was called Jeet Kune Do which really means a style without style. 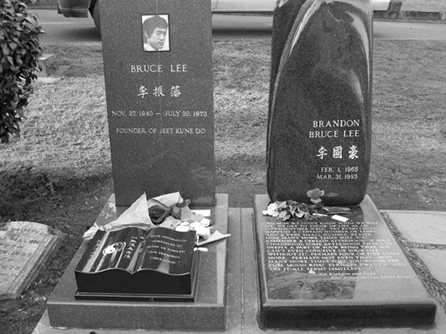 I was spurned on by reading about him in the early 1970s along with seeing “Enter the Dragon”. 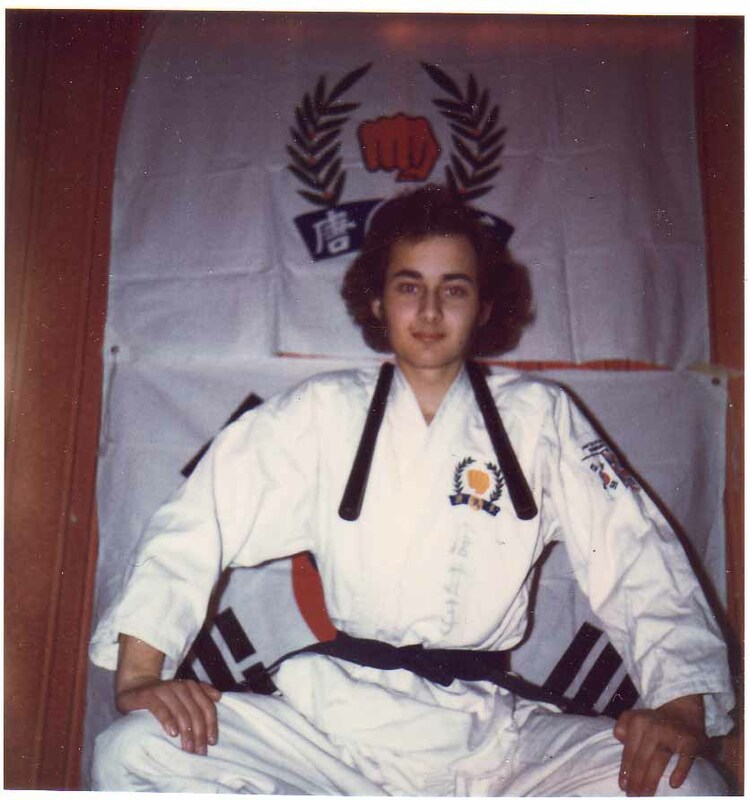 I look up martial arts around 1974 and below are some old photos from those halcyon days. I am indebted to Mujahid Khan for providing a photo of himself, one of my old instructor, Stefan Coleman and the group Tang Soo Do photo. 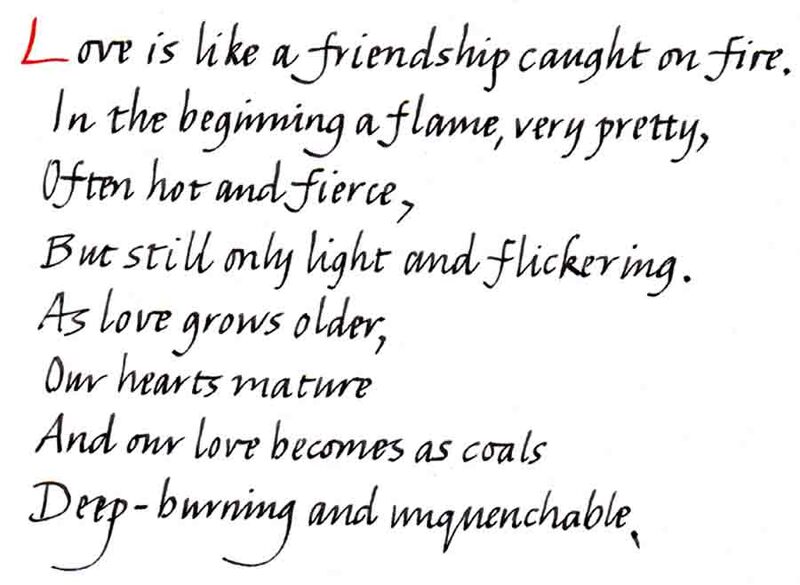 Sadly Stefan died on 16 December 2012, see my obituary to him at this link. 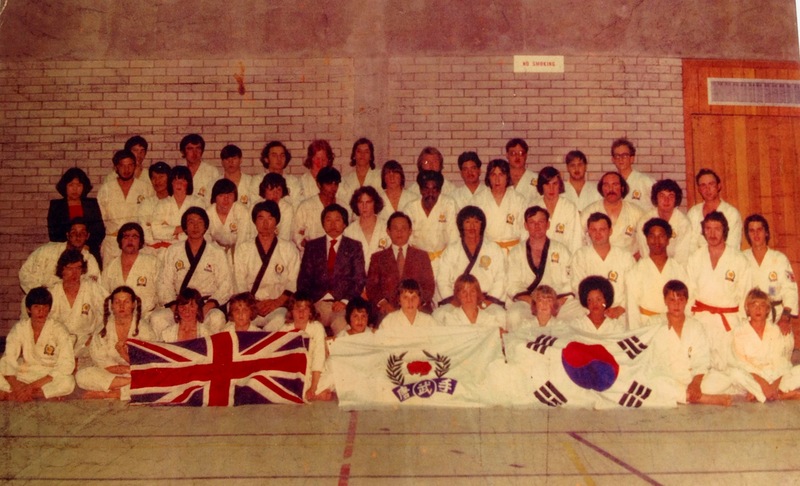 Tang Soo Do Group photo, St.Ives, 1975. I'm in the back row 4th from the left. you can see a video in remembrance of that great master. a 6th Dan black belt. 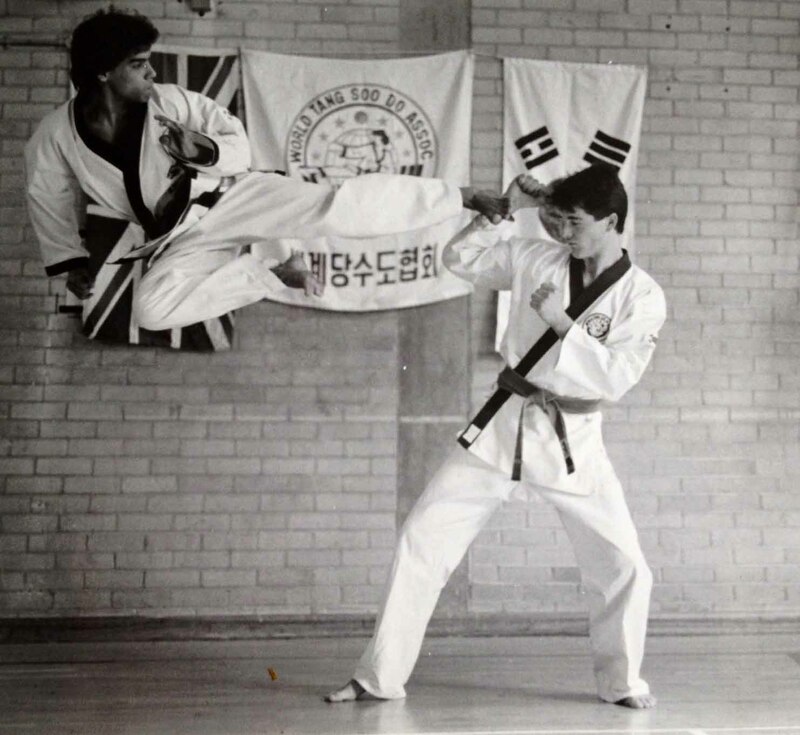 This photo is 1984..
Me, 6 April 1976, Buckden, with nunchucks - pity Korean flag is upside down!